Here’s a quick look at a book I don’t even have in hand. I picked it up and shared it at a recent story time (and also heard it read at a book club gathering), and I was smitten. 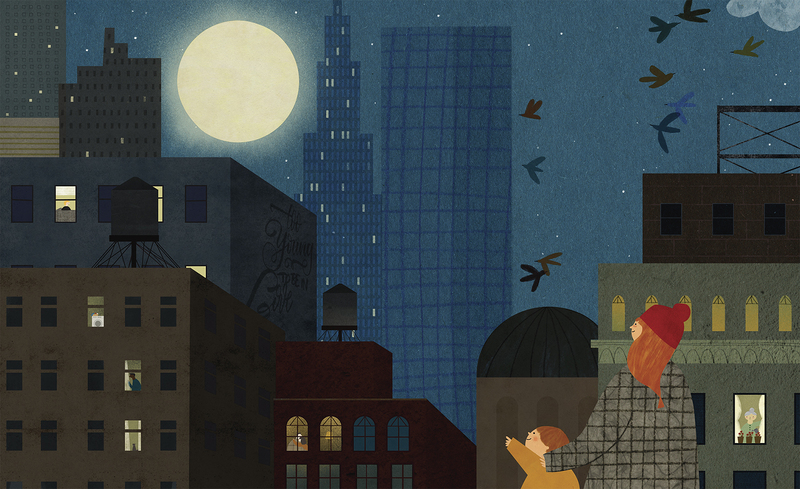 Rachael Cole’s City Moon, illustrated by Blanca Gómez, was released in September (Schwartz & Wade). This is the story of a young boy, taking a nightly walk with his mother (they’ve thrown coats over their PJs) through their neighborhood. They are looking for, and talking about, the big, bright moon in the sky. The narrator here is the boy, who is filled with questions about what they see as they walk. He possesses an infectious and endearing curiosity, as the two play a kind of hide-and-seek with the moon. Cole’s text is spare and precise, and matched with Gómez’s muted illustrations, the tone is one of quiet wonder. Here’s one more spread. (Both spreads at this post today are sans text, since as I said, I don’t have a copy on hand.) A gentle, delightful book, this is one to be sure you see this year. 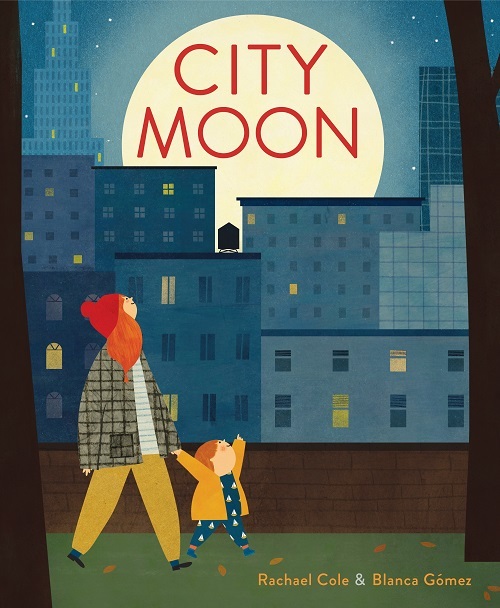 CITY MOON. Text copyright © 2017 by Rachael Cole. Illustrations copyright © 2017 by Blanca Gómez. Illustrations used by permission of the publisher, Schwartz & Wade Books, New York. 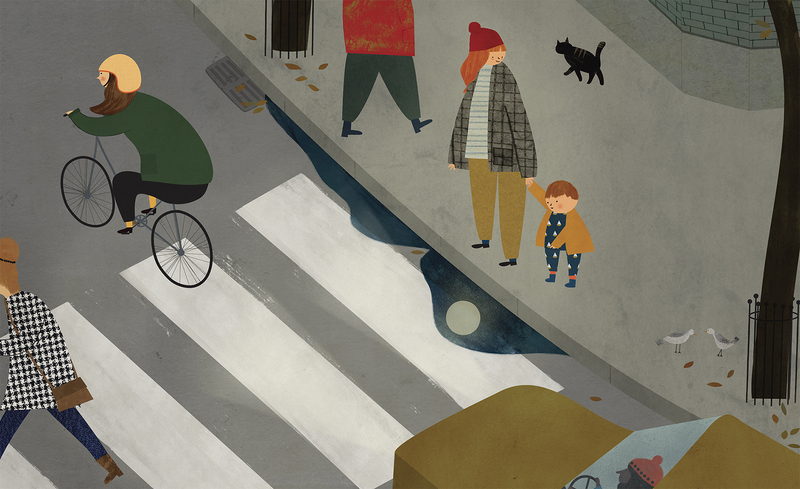 Love the huge coats and hat – such great illustrations! I’m such a wimp I would feel weird walking about in a city at night in PJ’s, but will assume it’s probably only seven, since it’s near the wee one’s bedtime!